AIRSOFT NATION - AIRSOFT'S NEW SOCIAL MEDIA PLATFORM? So today we see the launch of Airsoft Nation, a new social media platform just for Airsofters, could this be the new Facebook for Airsofters? Airsoft Nation is a brand spanking new social media platform that was created to bring together the best Airsoft information, resources and community under one roof. What are it's aims? To provide free to use social media platform specifically for Airsoft players. To keep UK players up to date with all the latest UK Airsoft news and activities including the Police and Crime Bill, regional/national events and the Airsoft promotions. To create user friendly guides that covers a broad spectrum of subjects on everything Airsoft from general info to gun maintenance. Develop and improve the overall Airsoft scene and positively promote UK Airsoft. Who's behind this new venture? 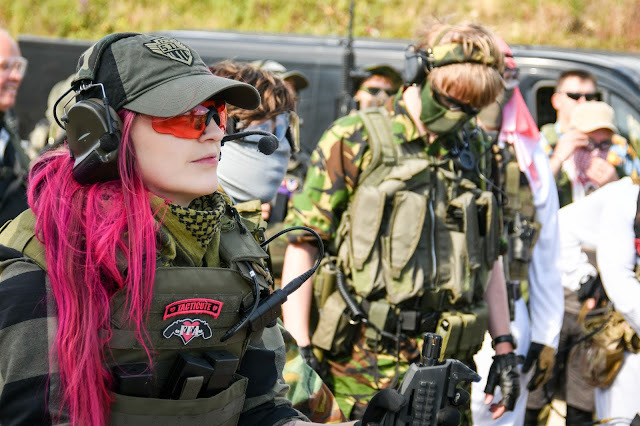 The creator, Graham Hoffman, is a player with 11 years experience in the Airsoft scene who became frustrated with the fragmented and divided community. His plan is to promote and unify Airsoft and he is involved in all aspects of Airsoft Nation. What can we expect to see from Airsoft Nation? So in 2016 we can expect to see the launch of Airsoft Nation today that includes the website and the iOS and Android apps available from their respective app stores, and in June we will see the completion of the UK site map, but what about for the future? We will slowly see a complete MilSim calender, the launch of MilSim User guides, MilSim writeups, Airsoft Beginners Guide, the launch of the Airsoft Nation Podcast, a redesign of the new sales area. The idea is fab and I think it will be a very easy transition for the community because of the styling. Femme Fatale Airsoft wishes the team at Airsoft Nation all the best with this awesome project! Check it out for yourself at www.airsoftnation.co.uk live at 7pm!